This mural represents northern BC and is a legacy of the 2015 Canada Winter Games. It tells the region’s story, celebrates our heritage and ignites our future. This public art piece was unveiled October 1, 2014 at the Prince George Airport (YXS). 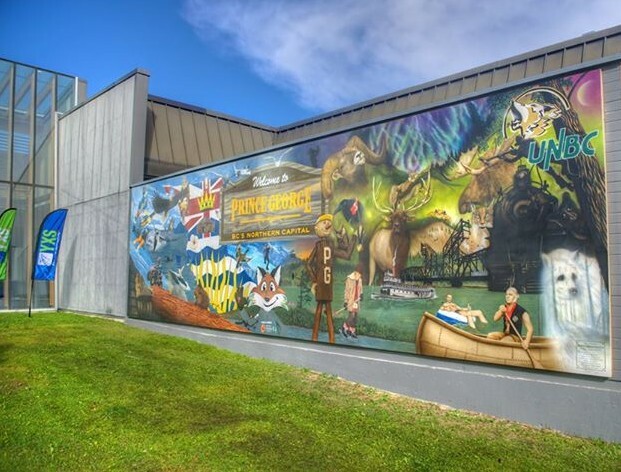 The Prince George & District Community Arts Council and the Prince George Airport Authority, in partnership with the 2015 Canada Winter Games, unveiled the ‘Spirit of the Games’ Mural painted on the exterior arrivals wall of the Prince George Airport on October 1, 2014. 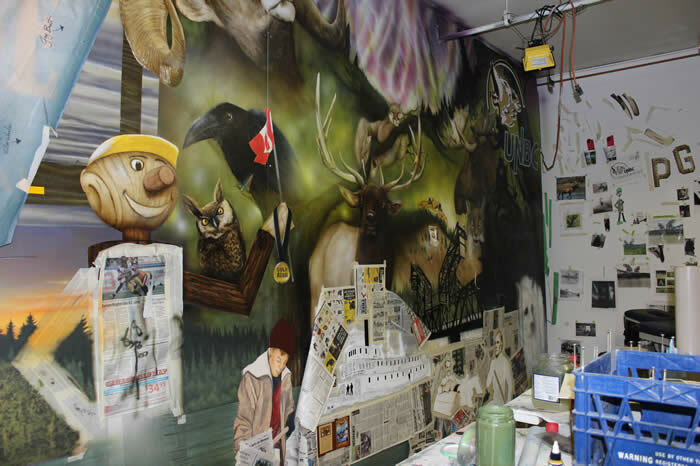 Created by Greg Gislason, the ‘Spirit of the Games’ mural welcomes visitors to Prince George, as we prepare for the largest multi-sport and cultural event the region has ever hosted – the 2015 Canada Winter Games. 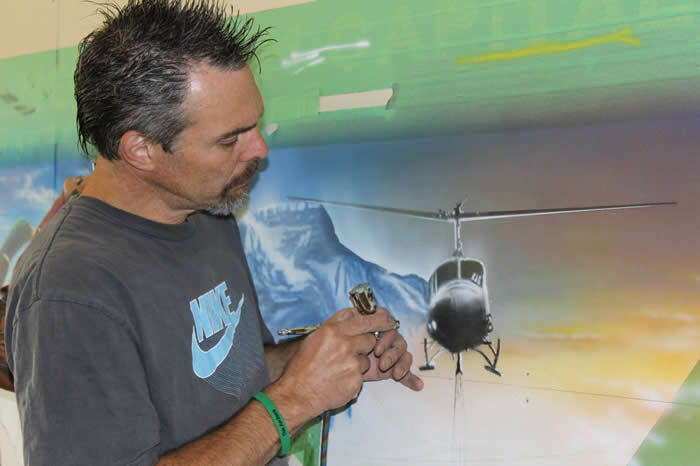 In July, Gislason was announced as the successful northern BC artist of the ‘Spirit of the Games’ project. His mural features well-known landmarks and icons of Prince George, after undergoing three weeks of design concepts and countless hours of research with Prince George historians and local experts.